It was one of the nicest days in March, during the rainy season in Vancouver. Of course, it wasn’t raining. 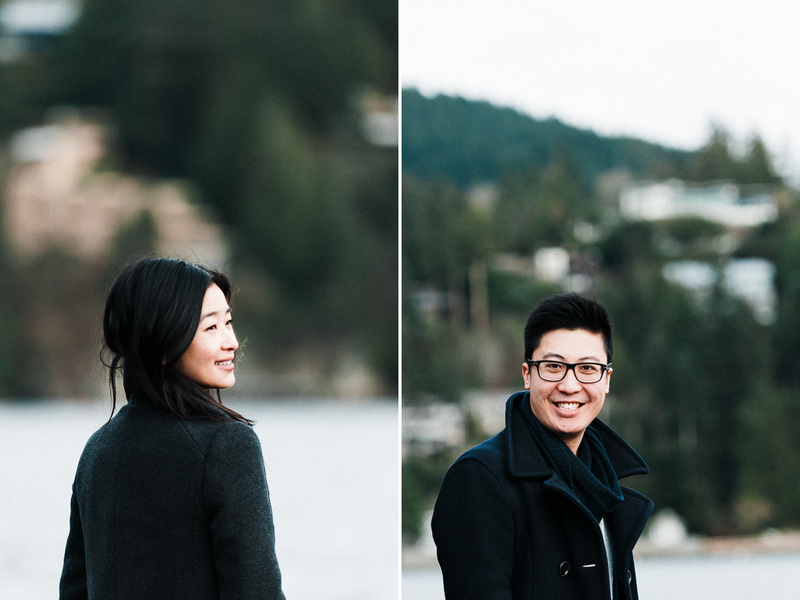 We already were in good moods and ready to capture a beautiful couple and their love: Bernice and Chris. 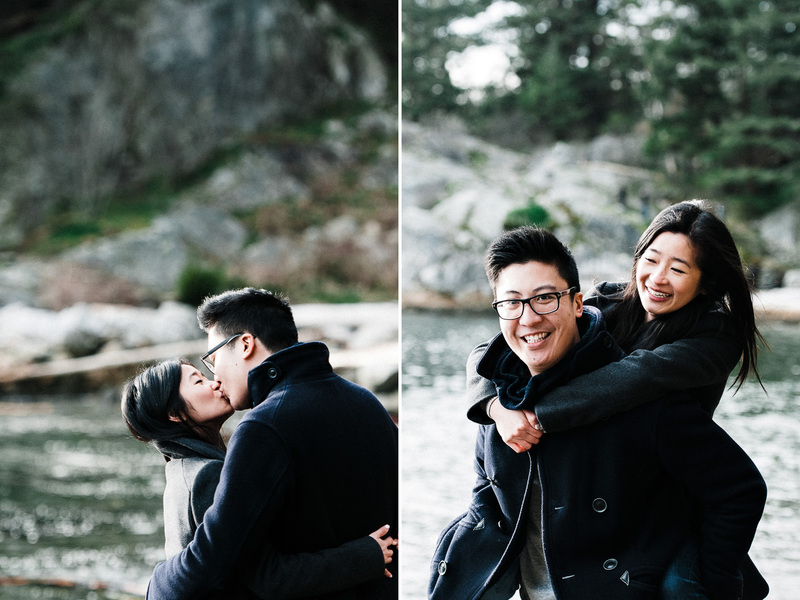 We met at the Whytecliff Park in West Vancouver which is a stunning place. 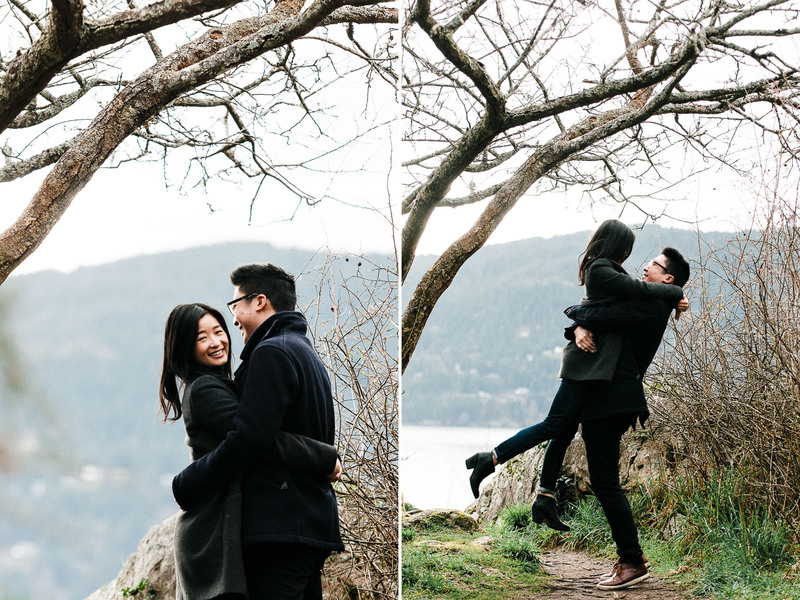 The park perfectly showcases the amazing nature of British Columbia although its so close to the heart of the city. 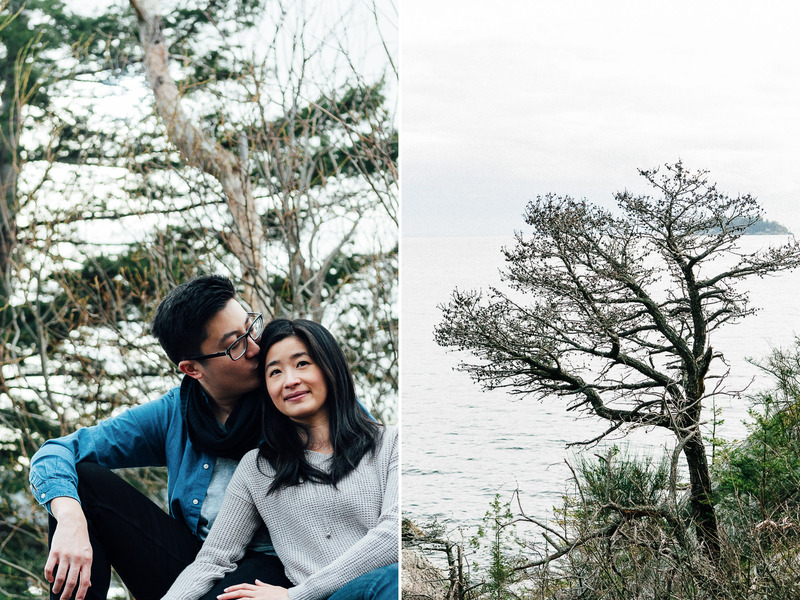 It is located on the edge of the Pacific Ocean with amazing cliffs and evergreen trees. The light was perfect! The shy sun was peaking through the clouds. 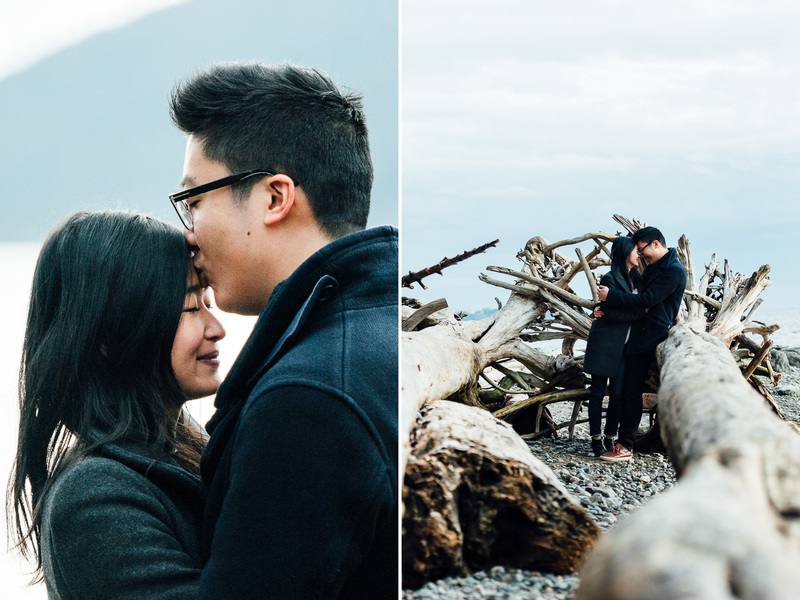 It was so easy and natural to capture the feelings of Bernice and Chris. We were having a great time playing and laughing. Talking about their plans and how they imagine their Big Day! We already knew, during the session, that we got some awesome shots.